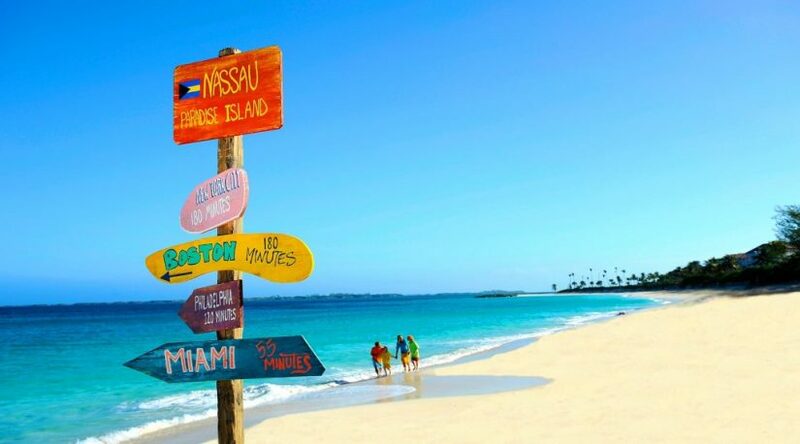 The Bahamas points of interest start with the very geography of this country. 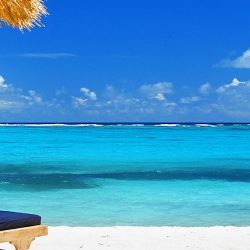 It is a large group of islands (700 to be exact) that stretch from the waters off the Florida coastline southwards across the Atlantic towards Turks and Caicos. These islands, 30 of which are inhabited, are always considered a Caribbean destination although they reside firmly in the Atlantic. This error seems perfectly understandable though when you consider all of the merits of The Bahamas as a holiday destination. This extraordinary country captures all of our collective imaginations and conjures up the very best of any Caribbean holiday with a large selection of luxurious Bahamas Villas. Gleaming white beaches, deserted coves, turquoise and blue/green waters that are both temperate and calm with a very shallow shoreline, tropical vegetation, delicious fruits that grow in colourful profusion everywhere, seafood that goes from sea to plate in an instant, a Caribbean music vibe, native crafts and laid-back charisma. It’s clear, really, from the moment your bare foot settles on the white sandy beaches of one of the lovely islands that you have arrived in paradise. With direct flights to Caribbean islands such as the Bahamas, travelling is made easy as you can fly directly into Nassau. Enjoy the best Caribbean beaches here as your only concern is how to spend these lovely hours as you engage with this amazing country and its amazing people. Read more about getting to the Bahamas. The official name of this country, is Commonwealth Of The Bahamas. It is pretty much always known by its abbreviated name The Bahamas and is one of the few countries in the world where a capital ‘T’ is used as a prefix for the country name; Eg the Congo and the United Kingdom do not have a capitalised ‘t’. It is an independent country that is part of the larger Commonwealth Group of Countries that includes Canada, Australia, Fiji and Jamaica. What this means is that although the country is self-governing it still keeps Queen Elizabeth II as its monarch. Columbus’s boot first touched down in 1492 in The Bahamas but little interest was taken of the islands by the Spanish conquistadores. It remained almost deserted until the British saw the value in establishing a Colony in the late 17th Century. To this day, there are many superb examples of colonial architecture dating back to the British dominion over the islands. 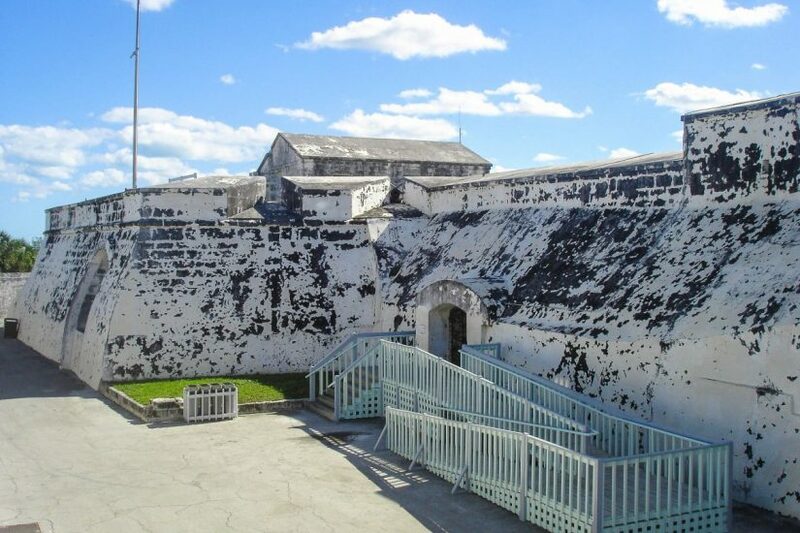 Charlotte Fort overlooking the port of Nassau stands as a reminder of the years of conflict this part of the world endured when the various conquering nations of Spanish, Portuguese, Dutch, French and English waged a battle to control not just the produce of the Caribbean but to control key shipping routes. Another piece of interesting history, is that the Crown of England granted land rights to a great number of loyalists from continental USA who needed a safe haven after the American Revolution. These loyalists developed large plantations that grew cotton and sugar. Ultimately, they fell away as the arid climate did not really suit the growing of sugar. The overgrown ruins of some of these old plantation houses can be visited in The Exumas, Long Island and Cat Island. They are fallen monuments to a time in history where slave trading and ownership was an accepted way of life. It seems fitting these buildings have now been reclaimed by nature and are disappearing from the landscape and heritage of The Bahamas for the present and future of this nation is exciting and forward-thinking. Out of all that chaos and suffering something wonderful has evolved. As The Bahamas is made up of so many islands, certain island districts – made up of a series of smaller island archipelagos – have evolved over time. The most famous of these are The Exumas, The Abacos, Andros, Eleuthera. These, in addition, to The Grand Bahama (capital town Freeport) and New Providence (capital town Nassau) make up the bulk of the inhabited islands. 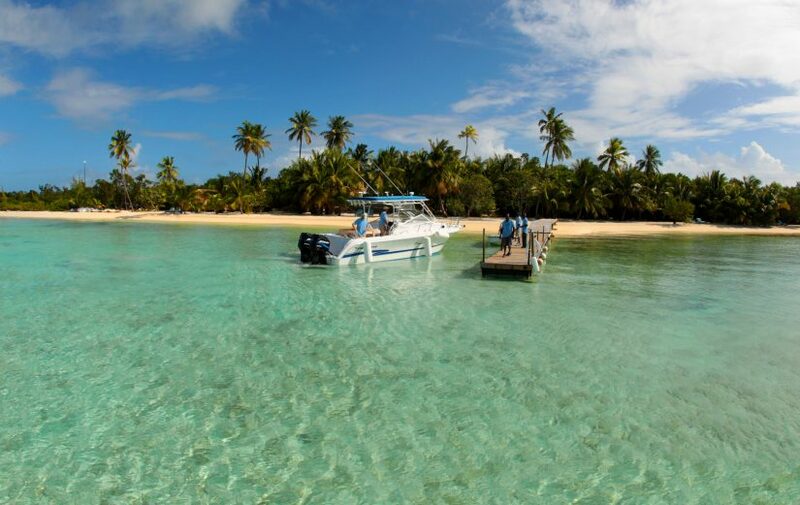 Within each of these groups are numerous tiny cays (little sandy islands that form on top of reefs) and deserted islands that are easily accessed by boat. To say there is oceans of exploration awaiting you is indeed an understatement. It is one of the Nassau Bahamas points of interest to get out on a boat or high speed ferry to explore the distant horizons. With day trips between islands on boats or very short flights (I’m talking a mere 10 minutes), you can find yourself enjoying a five-star castaway experience as you swim and picnic on the quiet side of one of the smaller island groups. If you are one of those nervous types who simply cannot abide cats, fear not for this island has gotten its name from the Pirate Arthur Catt, a friend of old Blackbeard, who made many a stop in this remarkable location. The ruins of the Deveaux plantation can be visited here. It is a grand old house in the antebellum style but now stands like a ghostly reminder of a forgotten world. The ruins of outbuildings that would have housed the slaves and cotton processing machinery are still there. It is eerie and derelict but perhaps worth a visit before it disappears forever. My particular interest in this island, in addition to the gorgeous 8 mile Pink Sand Beach, is that the plot of land on which the childhood home of Sidney Poitier stood can be found just outside of Arthur’s Town. Mr Poitier is one of the celebrated sons of The Bahamas – a world-renowned actor and the first black person to win an Oscar in the Best Actor category in 1964 for Lillies of the Field. When most people are winding down their careers in their 60’s, the pretty phenomenal Queen Elizabeth II is breaking new ground …. in her 80’s. Take a look at the history of any monarch and it’s always illuminating to see what legacy they leave behind. Some of the Queen’s predecessors might well blush for their pretty reckless deeds … Henry VIII, I’m looking at you! But HRH Elizabeth II can take great pride in reign and most especially in her recent endeavour. The Queen’s Canopy, or to give it the full title The Queen’s Commonwealth Canopy, is a project designed to create a network of forest conservation initiatives throughout the 53 nations of the Commonwealth. This project has been brought into being to mark the Queen’s service and dedication as Head of the Commonwealth. In the Bahamas, the Blue Hole Conservation Forest, a 32,000 acre site located on Abaco Island is a link in this incredible canopy. In a world that is hell-bent on deforestation, it is reassuring that this wonderful initiative is unfurling across the globe. 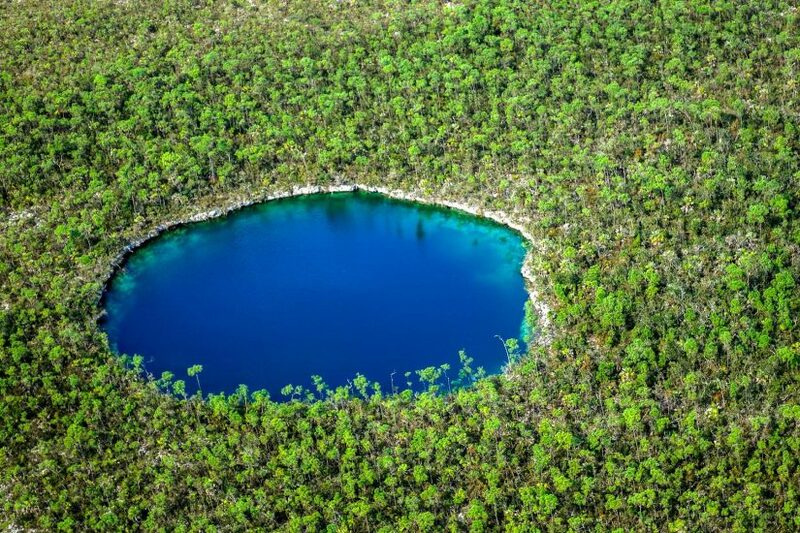 If you are in the Abacos group of islands, a hike to see the famous Blue Hole, nestled in this protected forest would be something memorable. Let’s hope the Canopy initiative spreads into non-Commonwealth countries and that the world decides to plant and save trees with the same intensity at which it is rushing to cut them down. 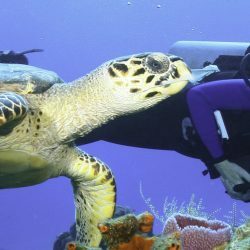 Even if you aren’t staying at one of the gorgeous Exceptional Villas within the Exumas archipelago, there’s every reason to believe you will still want to drop in to indulge in one of the best things to do in The Bahamas. 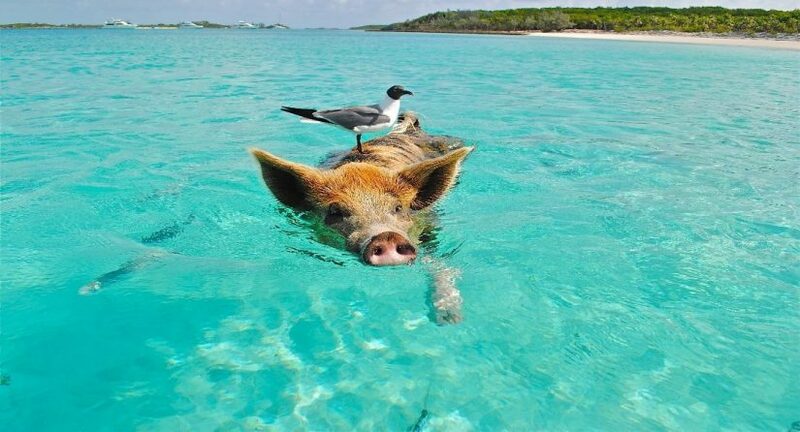 I’m talking about taking a splash in the shallows with the colony of wild pigs who live in The Exumas. These little porkers have somehow managed to side step the inevitable end for such smart and curious creatures to set up home life in paradise. Definitely something to put on your list of ‘The Bahamas Points of interest’. No matter how much luggage I take on a holiday and regardless of how stuffed to the brim it is, I am always determined to return from a holiday with something lovely and new! Is there anything better than buying a gorgeous pair of sandals, a painting, some hand-crafted jewellery ….? I don’t think so. Where better to give your credit card a bit of a work out than in Nassau. This large town boasts the best Duty Free shopping across the entire Bahamas. Since the country abolished import duty on items such as leather goods, watches, perfume and many many more products, the sale price for such items is far below what you would expect to pay back home. Look out for the DFS logo outside of stores and you know you are on the right track. It is certainly one of Nassau points of interest worth noting! I absolutely love watching those amazing documentaries about free diving. I sit on my sofa and hold my breath (current record is about 1 minute – pathetic, I know) and marvel at the incredible skills of those intrepid men and women who swim into the half-light of the ocean. Of all the Long Island points of interest that will surely capture your imagination is Dean’s Blue Hole, the current venue for Vertical Blue the annual freediving international competition. Located in a bay west of Clarence Town, this geological and marine attraction has a surface diameter of up to 35 metres and a depth of 202 metres. For a long time it was considered the deepest blue hole in the world until Dragon’s Hole in the South China Sea was discovered. Even if you aren’t going to try to establish a personal best in the freediving challenge but simply wish to do a bit of casual swimming or sunbathing, this natural wonder on Long Island is a spectacular location to relax and unwind. 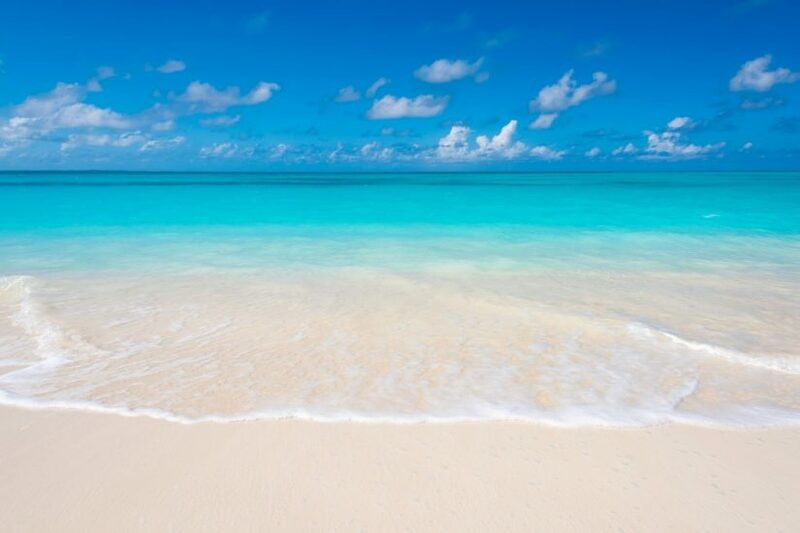 Read about the best beaches in the Bahamas. 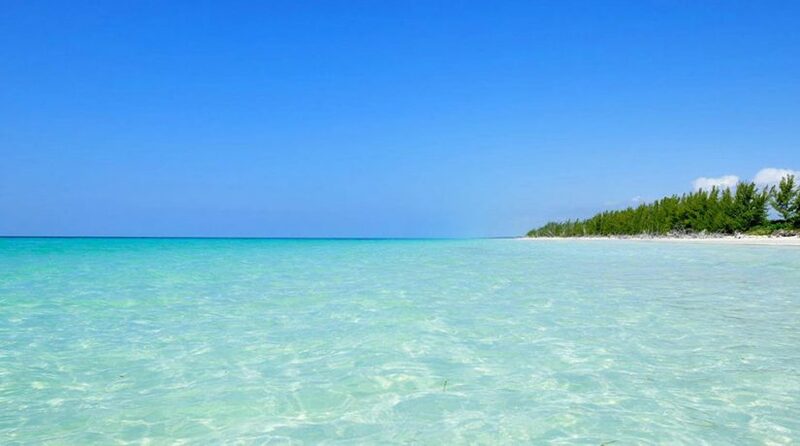 The shortest hop for a Bahamas vacation is to take a 35 minute flight from West Palm Beach onto the island of Grand Bahama. You can also enjoy a looped cruise to the Bahamas as one of the places to travel without a passport. This island has a multitude of adventures to charm visitors regardless of age or mobility. Freeport is the main town and it offers excellent shopping and restaurants. The oceanfront Lucaya district is definitely one of Freeport, Bahamas points of interest. It has a village vibe and welcomes lots of tourists to the resorts and restaurants that are located in this bustling area. 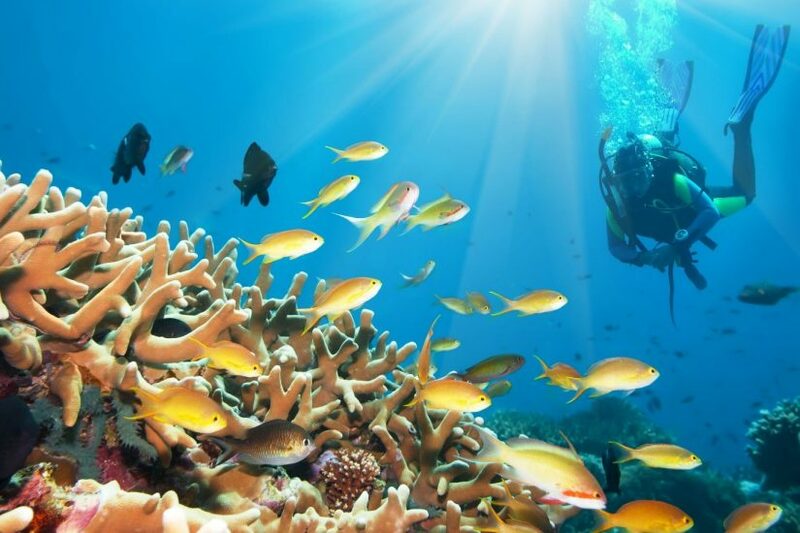 For a quieter experience head for the famous Deadman’s Reef for some excellent snorkelling or diving. The Lucayan National Park is a lush and tropical forested area that is perfect for hiking and biking, kayaking and caving. The Garden of the Groves is a less wild forested area with shaded paths and a waterfall. A lovely destination for a stroll and picnic to the sounds of the busy birds. The Grand Bahamas is an island that offers a vibrant beach and night life or days filled with natural wonders. A really fun activity for the more active vacationers is to jump onto one of the motorized bicycle tours run by CocoNutz Cruisers out of Freeport. The motorized element of the bicycles takes some of the strain out of the experience. You will follow a wonderful guide who can take you on an exhilarating and sunny trip around Freeport. It might not be very far from Continental USA, it might have once been a British Colony, it might be part of the Commonwealth but regardless of all of these things, The Bahamas is a world away from the life you live back home. English is the first language so communicating and navigating is very easy but the tempo of your day among these islands is slow and somnambulant. 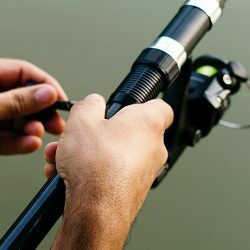 Don’t try to jam in too many activities as you will want to just drift along, do a bit of mindless pottering in the shallows. I guarantee you will find a hammock somewhere under a shaded palm tree. It may feel like a cliché as you lie back and sway in time to the sound of the waves but, wow, what a cliché! At Exceptional Villas we’ve had a very close and personal relationship with The Bahamas for many years. It is home from home for us, in many ways, as we’ve been fortunate enough to spend time annually on the islands. Our friendly concierge team have first-hand knowledge of The Bahamas and know exactly how to draw forth the very best and bespoke experiences for you and your family. You might want that perfect romantic getaway or a live-action holiday with busy kids or teens, our complimentary concierge service has the best relationships with local service providers who always go above and beyond any brief when ensuring Exceptional Villa clients have memorable adventures. If you want to try out a holiday destination that offers perfect beaches, water sports, culture, architecture, natural wonders contained in a safe and lovely location, then look no further. The Bahamas’s warm embrace awaits you. 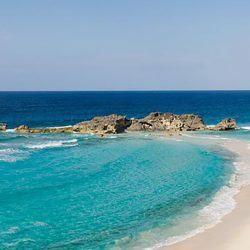 Once you visit this glorious part of the world, I can promise you will return time and time again to explore yet more of the many islands that sit like a jewel on the priceless necklace that is The Bahamas.